Now that everyone is sad, there is an outpouring of people saying, OK, now we will be the one to accept “weird pitches,” particularly weird pitches from young or otherwise inexperienced writers. 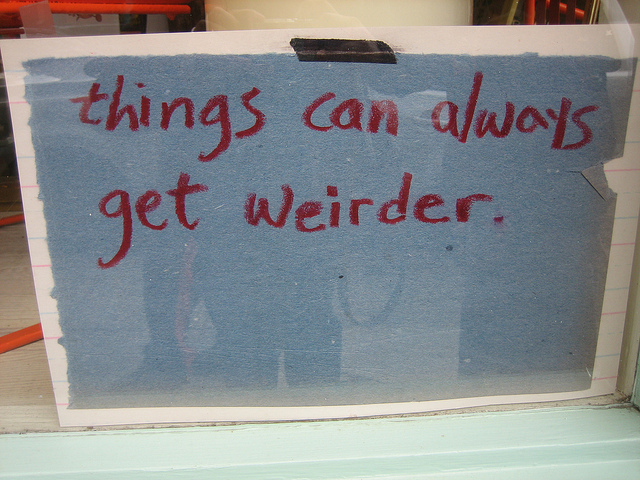 (“Weird pitches” meaning blog posts with life inside of them that bring joy rather than pain.) I don’t believe this is true about any website that currently exists, but I am also sad, so I will accept the possibility that this is true and I will say: please do that. I’m putting my faith in you. I hope you know not to take this (my faith) lightly. It is quite rare. It’s unfortunate that no one reads anywhere now, but it’s at least fortunate in the sense that, what do you care about publishing something weird? Nobody is reading your site anyway. If you publish something dumb who is going to even look at it, 1000 people? Not even uniques? It doesn’t matter. Give somebody money and let them write something really stupid, unless it’s bad. Make sure it’s at least a little good. Against my own better judgment, I’m trusting you to be able to make this distinction. And you never know, maybe you’ll accidentally publish something really good and it will go viral and allow you to meet your Q1 traffic goal. It’s insane we all have to be on the internet all day and literally nothing is good on it so please allow your boring site to have AT LEAST A VERY SMALL SCRAP OF FUN I AM BEGGING YOU.